Final Christmas Benefit Concert for the GCCH! 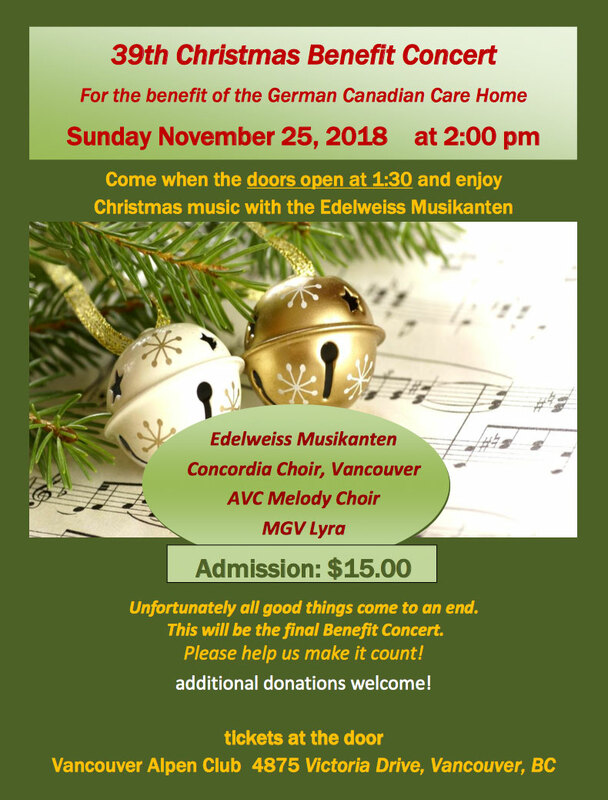 Did you know that the German Canadian Care Home GCCH) is organizing their final benefit concert at the Vancouver Alpen Club on Sunday, November 25th, 2018 at 2 pm. Additional donations are also welcome! The Alpen Club is located at 4875 Victoria Drive, Vancouver, BC in East Vancouver. The doors open at 1:30 pm and the Edelweiss Musikanten will be there to greet you. This is the #39th Benefit Concert held since 1979! See poster below! 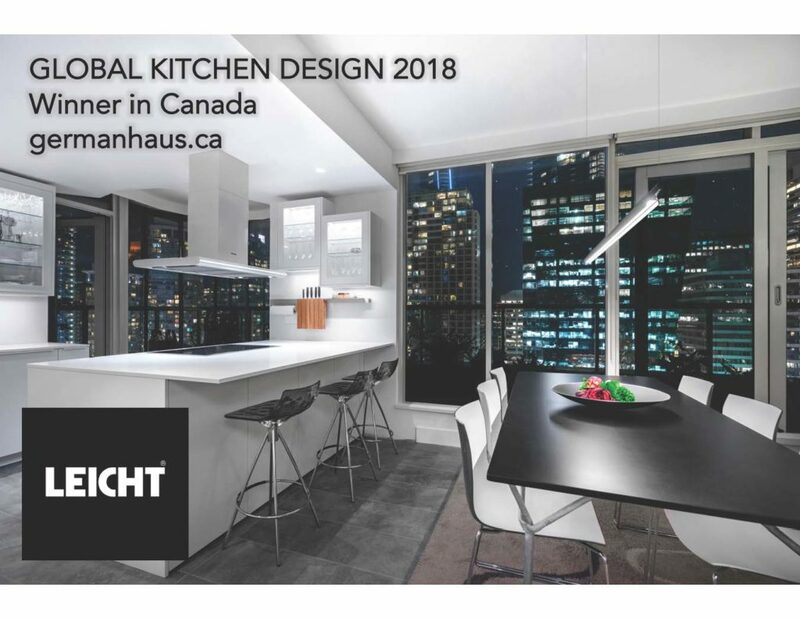 This date may seem familiar, as it is also the day that the German Canadian Business Association is hosting their Christmas Gala at the Royal Vancouver Yacht Club at 5:30 pm. Some people are going to both events. Trust the director of Phoenix and Barbara to re-imagine a WWII romantic intrigue into something unsettlingly contemporary and resonant. With occupying forces closing in, a German refugee (Franz Rogowski) assumes a dead writer’s identity and flees to Marseille in hopes of sailing to safety. However, entanglements with the writer’s widow (Paula Beer) and a young boy disrupt his plans. Drawing equally from Casablanca and current affairs, Transit is a fascinating, enigmatic, utterly captivating movie. 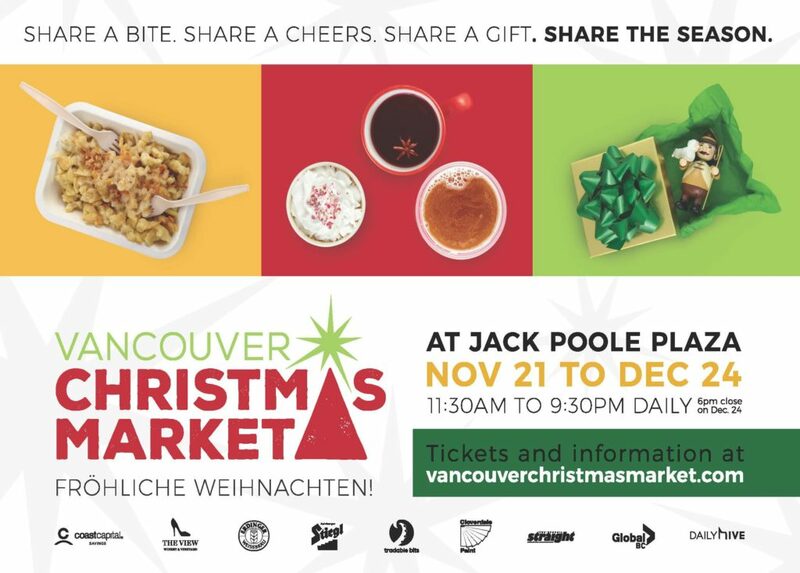 New partnerships with the Surrey City Orchestra and fantastic local soloists mark this holiday event. Every December for nearly 90 years, the Vancouver Bach Choir has taken to the stage to perform one of the world’s most famous choral masterpieces, Handel’s Messiah. This December is no exception, as the choir brings its celebrated production to the Bell Performing Arts Centre for the first time on Saturday, December 8th at 7:30pm. Under the baton of Music Director Leslie Dala, an ensemble of celebrated local soloists and the newly founded Surrey City Orchestra join the choir to bring to life this time honoured and celebrated musical masterpiece – capped off by the iconic Hallelujah chorus. Since its debut in 1742, Handel’s Messiah has been a resounding success, popular all over the world in celebration of both the Christmas and Easter holidays. It is said that Handel composed the entire work in a three week frenzy, upon which he remarked, “I did think I did see all Heaven before me and the great God Himself.” Whatever his inspiration, the work has stood the test of the time and contains some of the most memorable moments in music, including the famous Hallelujah chorus. The evening will feature four local soloists that demonstrate the incredible depth of talent present in the lower Mainland. Soloists like Vancouver based Tyler Simpson who sang for seven seasons at the Metropolitan Opera, or local favourite, counter-tenor Shane Hanson, fresh off winning the local Metropolitan Council Auditions for the second year in a row. These soloists will share the stage with the Surrey City Orchestra; a new organization that aims to build a professional orchestra comprised of Surrey area musicians, including members of the Borealis String Quartet. 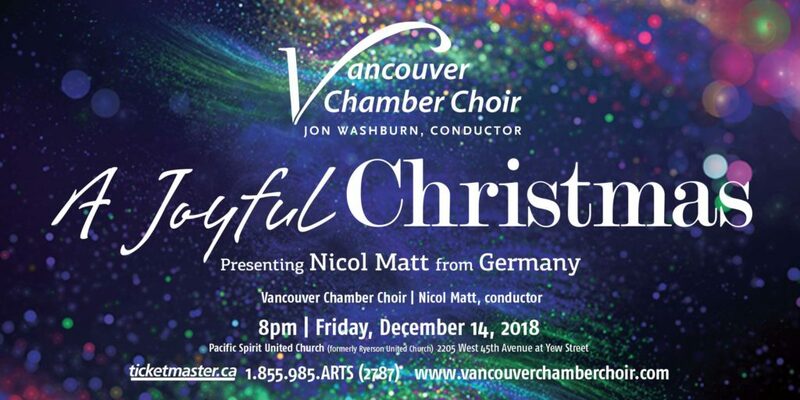 Tickets begin at just $18 for this holiday concert and can be found by visiting the Bach Choir website at vancouverbachchoir.com or contact the Bell Centre office directly. About the Vancouver Bach Choir: The Vancouver Bach Choir (VBC), celebrating its 88th season, is an award-winning symphonic choir committed to offering vibrant and culturally diverse choral experiences to its audiences. As one of the largest choral organizations in Canada, the Vancouver Bach Choir explores a wide range of repertoire from the past to the present with passion and commitment. 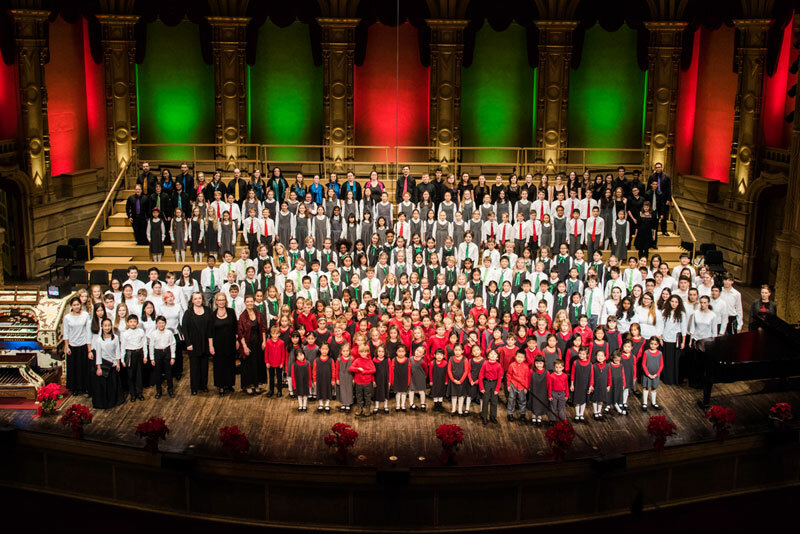 With eight choirs ranging in age from 5 to 80, the VBC continues to pursue choral excellence at all levels and presents numerous concerts each year through the metro Vancouver region. Over the past eight decades, the choir has performed with numerous world-class musicians. Currently under the baton of Maestro Leslie Dala, the VBC continues its mission and tradition to share the beauty of new and traditional choral music with as wide an audience as possible. Box Office: purchase tickets online at vancouverbachchoir.com, by phone at (604) 507-6355 or in person at the Bell Centre Box Office, 6250 144 St. Surrey BC. Das Schwarze Brett Magazine is a combination of current events, as well as the history of Germans in Vancouver. 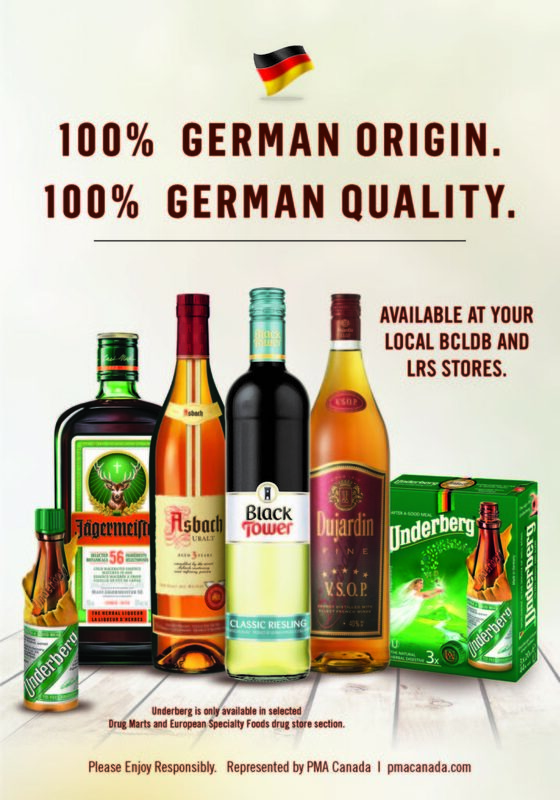 Edition #9 is everything Christmas within the German Community in BC. This issue was sponsored by the German Canadian Heritage Plaza. 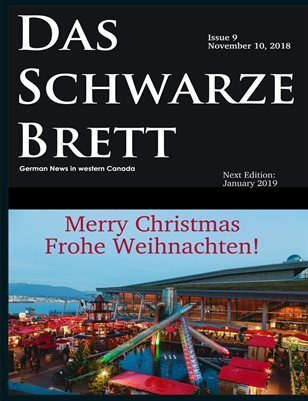 So happy that I was able to produce this Christmas Edition of “Das Schwarze Brett”, a German Canadian Magazine published in Vancouver, British Columbia, Canada with the help of volunteer writers or photographers and anyone needing publicity. Page 11 – Who is St. Nikolaus? Here are my advertisers and supporters! Just click on the ad to be taken to the web page of the company!